Researchers at General Electric have managed to finally develop printable lights, using organic light emitting diode film. It’s major news, for a number of reasons, not least because the OLED film is extremely efficient, which means less energy use. Not only that, the tech could be used in a number of interesting ways to create interior environments lit by ambient lighting (in the wallpaper, for example), instead of by traditional lamps and bulb lighting. Smartly lit, environmentally-friendly houses are now a near-future possibility. Domestic uses of the technology are at least three years away. 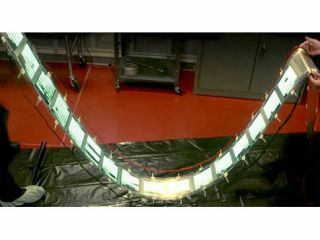 TechRadar looks forward to seeing the practical ways in which printable OLED film will be used in our homes and offices in 2011 and beyond.